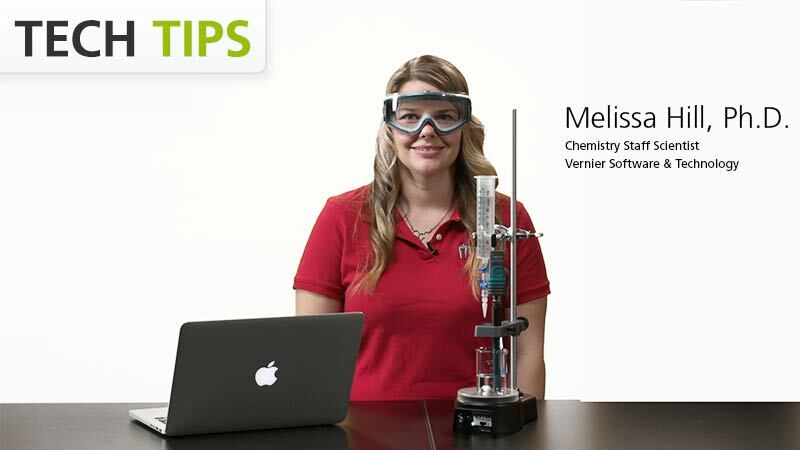 Melissa Hill, Ph.D., introduces the Go Wireless pH with the experiment, Acid-Base Titration, from Advanced Chemistry with Vernier. 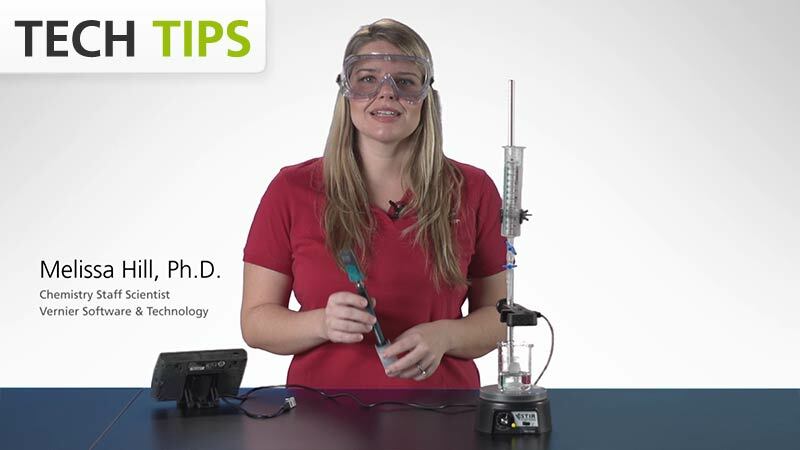 Use the Go Wireless pH with the Stir Station, Drop Counter, and LabQuest 2 to perform an acid-base titration. 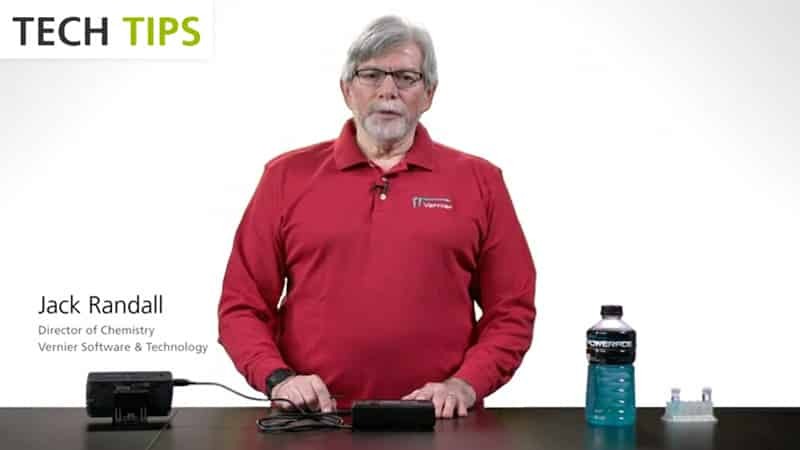 Today we're going to learn how to set up the Go Wireless pH with the LabQuest 2 to do a titration of a strong acid with a strong base. First let's make sure the Go Wireless pH is charged and turned on. I've charged the Go Wireless electrode amplifier overnight with its power cable. To turn it on, I press this button right here. The blinking red light tells us that it's on. My LabQuest 2 is also charged and on, and updated to the latest software version. It needs to be version 2.4 or higher to work with the Go Wireless pH. Now that everything's on, I can connect the Go Wireless pH to my LabQuest 2 via Bluetooth. From the sensors menu on the LabQuest 2, I'll select Go Wireless Setup. When I first connect to the Go Wireless pH, it'll read Go Wireless pH. I'll select that and say OK. Now I should see the pH reading. 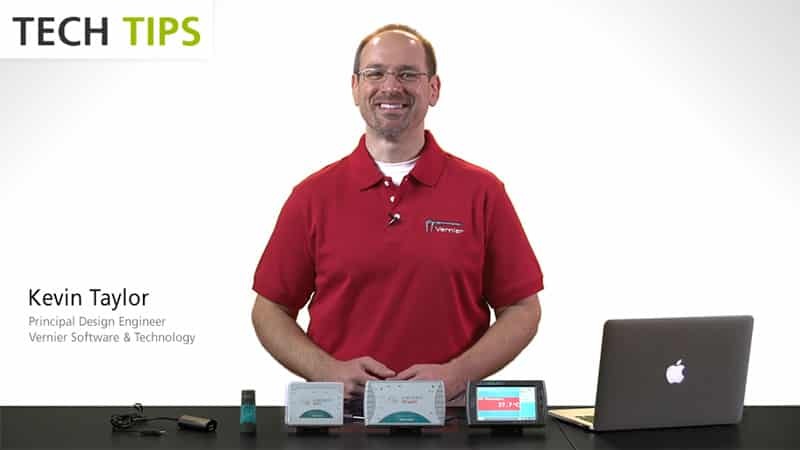 Before we begin the experiment, let's take a quick tour of the settings on the Go Wireless pH. First, we're going to want to rename our Go Wireless pH so we'll know easily which one to connect to in the future. To do this I'll tap on the big red box and then the Go Wireless menu, sensor info. Next to the name, where it says Go Wireless pH, I just tap in that field and rename it whatever I like. When I'm done renaming, I'll select done. This is where I can also check the battery level. Select OK to exit. Also in this Go Wireless menu, I can tap on identify which causes the unit that you're currently connected to, to blink faster. This is also where you can disconnect properly from the electrode. If you'd like to calibrate the electrode or change the units you'll also do it from this menu and just select the appropriate option. Now we're ready to start our titration. 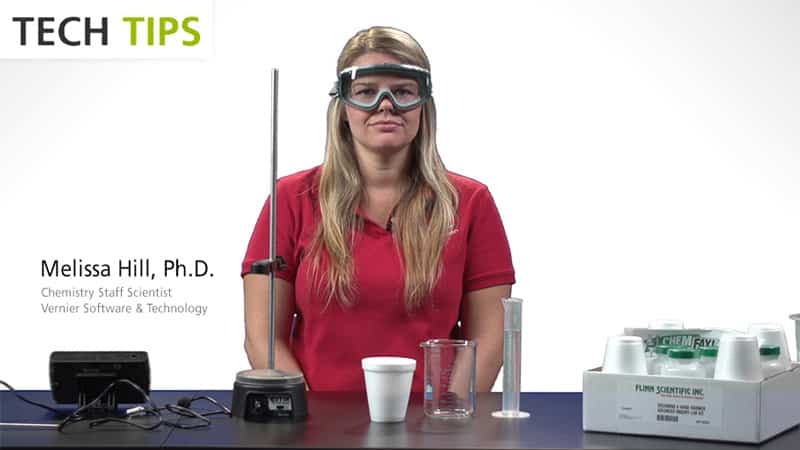 I'm going to be demonstrating this titration with a drop counter. But if you're using a standard burette, you'll want to connect your Go Wireless pH and then set up events with entry mode. This will allow you to enter individual volumes as you dispense them into the beaker. But again, I'm going to be showing it with a drop counter. I want to make sure that I remove my pH electrode from its storage solution and slide it into the slot on the drop counter. Then I'm going to connect the BTD cable from the drop counter to the LabQuest 2. It goes into the top of the LabQuest 2 and it'll automatically be identified and the mode will automatically change to drop counting. I've already set up my 0.1 M NaOH in the burette and my 0.1 M HCl in the beaker. 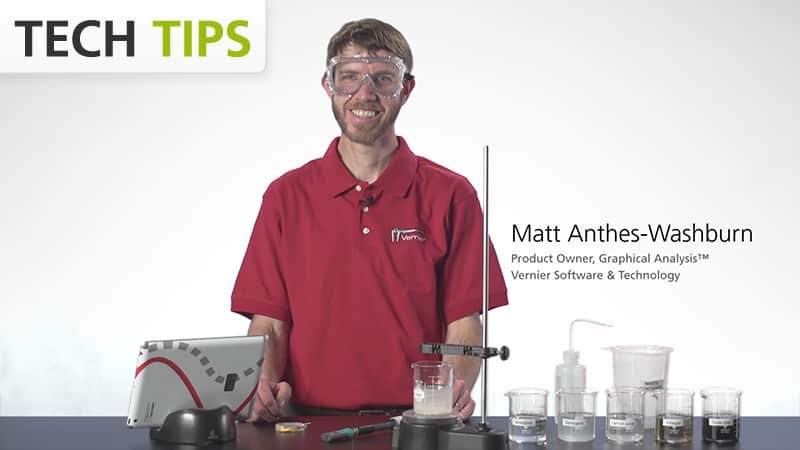 I want to make sure my burette is lined up with the opening in the drop counter and will go into the beaker. The solution needs to be stirring. The stir bar, we don't want it to be bumping into the pH electrode. We also want to make sure that the bulb of the pH electrode is completely submerged in the solution. Now I'm ready to start taking data. I'll tap on the collect button on the LabQuest 2, and it's waiting for the drops to come. So nothing will happen until I start sending drops through the drop counter. Now I'm going to open my burette and let the drops come in at about one drop per second. Once there is a complete titration curve, we can stop data collection. Then we'll determine the equivalence point by tapping along the graph. I can also calculate the first and second derivatives. To do that, I'm going to go over into the table screen. From the table menu, select new calculated column. I want this to be the first derivative so I'm going to rename the column first derivative. Now I'm going to select from the equation type menu, scroll all the way to the bottom and tap on first derivative. And then I'm going to select OK and it's going to automatically take me to the graph screen where it's graphed the first derivative for me. Then I can use the statistics analysis after I highlight the peak to find the volume where the maximum happened. So I can see here, my volume is 9.45 ml. I can also repeat this process for the second derivative. The Go Wireless pH is connected via a BNC connection. So you can connect any other BNC electrode to the Go Wireless electrode amplifier such as our oxidation reduction potential electrode, our flat pH electrode or third party electrodes. It's also compatible with iPads via Bluetooth Smart. 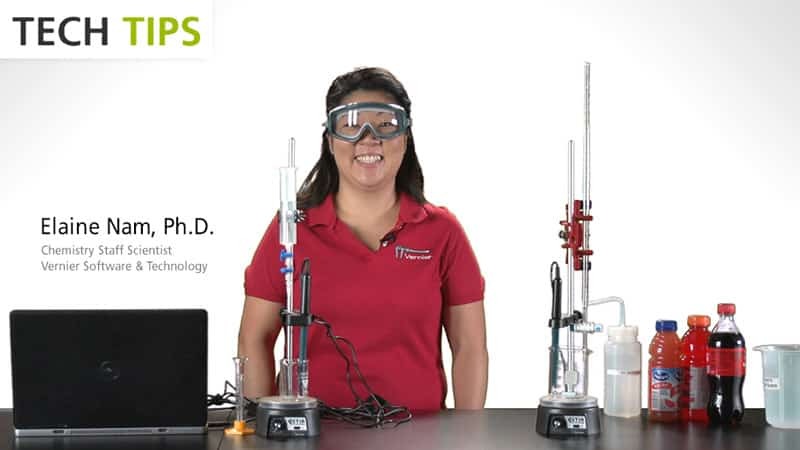 If you have any additional questions about the Go Wireless pH electrode or any other chemistry questions, feel free to go to vernier.com or email chemistry@vernier.com.